The normalcy is Christmas -- it's gone. Banished to the basement. At least for the first eleven months of 2011! It's a chore but much less so than it once was for the greens go in a trash bag and do not have to be stored in a bin and that bin taken to the basement! After the "glitz" of Christmas with greens and lights and reds and greens, I like the simpler look of January. It seems refreshing. Probably what the Arts and Crafters thought after the over abundance of the Victorian era! The table at the bottom of the stairs with poinsettia gone and plant returned to it's "rightful" place! 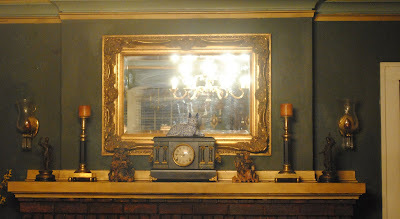 The living room mantle with no greens or pinecones -- but the addition of two new pieces of Oriental soapstone -- big pieces! Alas, not Christmas presents but rather a find on New Year's Eve when we went to the city to some of our favorite haunts. They were a steal of a deal -- reasonably priced to begin with but then they were half off!!! The poinsettias are gone from the dining room table and the blue and white bowl stands empty -- awaiting a dinner party and a flower arrangement! The only bit of Christmas left -- the red carnations that were the centerpieces for luncheons the week before Christmas and the centerpiece for Christmas dinner itself. Gone are the wee trees and the paperwhites now have pride of place on the sideboard. They're budding and I've two more pots to start tomorrow -- January and February are paperwhite months at Linderhof! 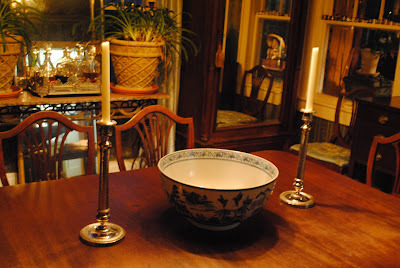 I so enjoy decorating for Christmas -- getting out the old things and adding greens to mantles and bowls. But I also enjoy January and the sparseness that happens because all of Christmas is gone. And with the sparseness of January comes cleaning -- from basement to attic and all closets, cabinets and drawers. It's almost a month long project but when it's done and everything is clean and everything is tidy, there is such a sense of accomplishment. The house smells of vinegar and wax and lemon and just clean! I'm starting tomorrow -- in the basement!!!! Since putting up decorations qualifies as a Met Monday, taking down decorations does as well. Please join Susan at Between Naps on the Porch to see other metamorphosis this Monday! I like the clean, spareness of a house after Christmas too, Martha, but I'll have to wait. Everything will stay as it is until the grandchildren leave at the end of the week - then I'll get to work! In her stillness, Linderhof shines as a jem! 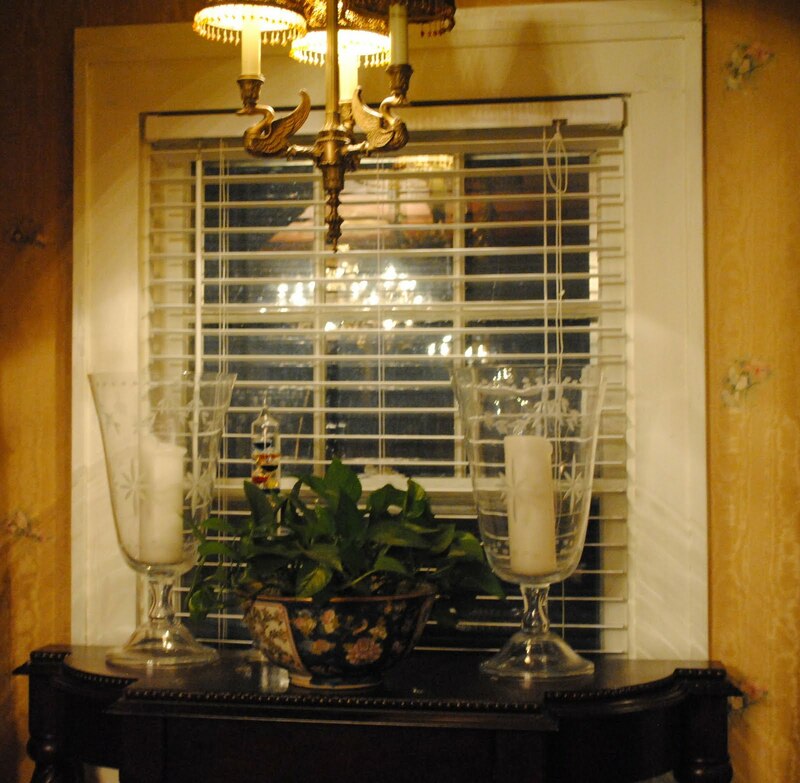 What lovely photos of your home. . .without the holiday decor! I'll be awaiting the blooming and photos of your paperwhites. I enjoy thw white freshness of this season. . .especially the snow! I love Christmas AND I love the spirit of simplicity that follows. Linderhoff - beautiful as ever. Beautiful in every season. It's sad to see the lack of Christmas lights to brighten the long evenings but, I have to admit, I love the return to normalcy too. Cleaning up after Christmas is always a pleasure. The house seems bigger somehow, with a simplicity that appeals in this first month of a new year. Our family left today so the clean up will begin tomorrow! I feel the same way you do, Martha, about January. 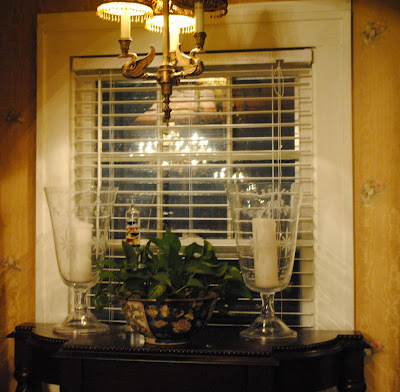 I love to clean EVERYTHING in the house and love the spareness of a house after Christmas! I start at the top of the stairs and work left to right throughout the house. Your house is beautiful! Thank you for sharing it with us! The calm after the storm of the holidays is nice, but I must admit I feel a little forlorn when all the decorations come down and there seems to be an emptiness and dreariness. Maybe it is because winter is NOT my favorite season! I think I shall buy some leftover paperwhites that I saw at the market and some lovely colorful primroses to fill the emptiness and dispel the gloom! I am with you... I love the simplicity after Christmas decor is taken down. I SO agree with you about that nice start to the new year...minus all the various Christmas fluff. 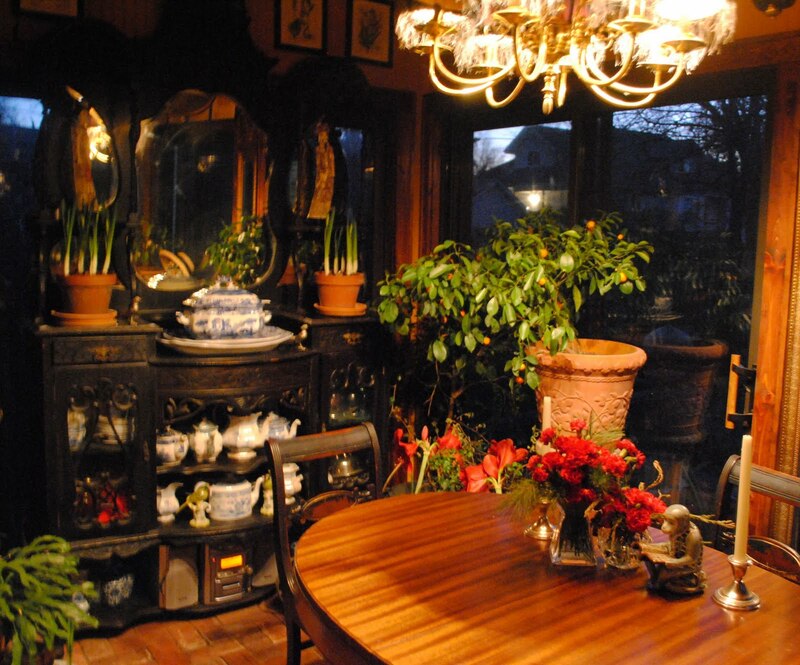 Your home is always lovely - due to the great and informed thought put to the setting. 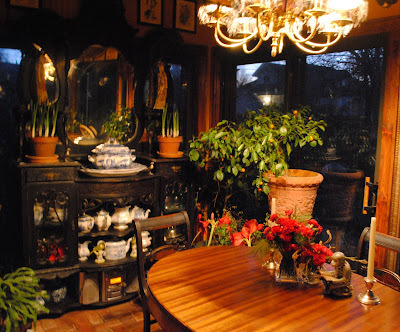 Please remember, as we enter 2011, there are those of us "out here", as Lines from Linderhof fans that receive GREAT comfort, encouragement and enjoyment from the postings of your blog! Consider me a constant fan. I do love putting up the decorations, but I'm always glad to see the house return to its less cluttered state at the end of the festivities too. Pleased you managed to hunt down a new year bargain too! All the best for 2011 Martha. Your home always looks beautiful Martha, but I know what you mean about the clean lines of the house after Christmas. I'll finally take down the tree on Wednesday, (we seem to do it later in the UK)and I'm looking forward to it! Martha, Your home is always beautiful. 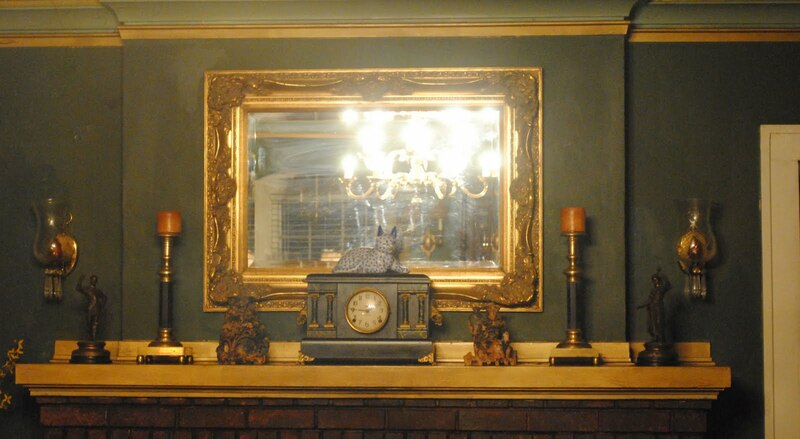 I do like the serenity of the home after the hustle and bustle of Christmas and all the adornments.